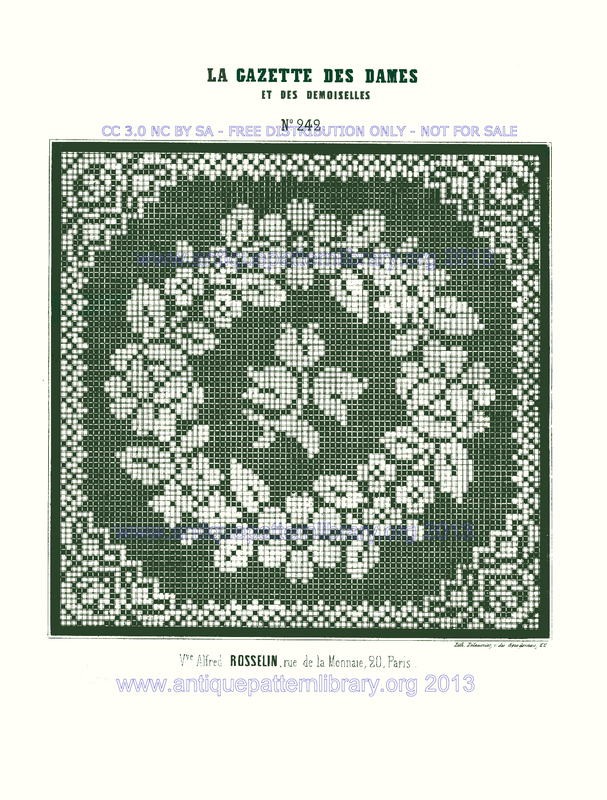 Charted design for a floral wreath, with a central sprig, inside a squared geometric border with corners. Can be used for cross-stitch, filet crochet, lacis (net darning), beadwork, etc. Scans donated by Sytske Wijnsma, edited and charted idem.